LARGE TREND OAK TABLE AND 8 LEATHER CHAIRS. Choice of leather colours: Black, Red, Brown and Cream. 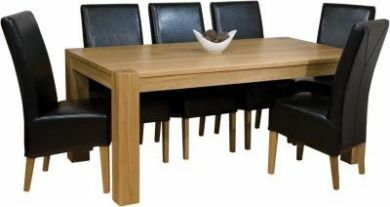 Trend Large Oak Dining Table is made from 100% SOLID OAK.